We’ve been busy rehearsing and putting together our next show – please join us on Saturday, May 16th at 4pm & 8pm at the El Portal Theatre in North Hollywood. 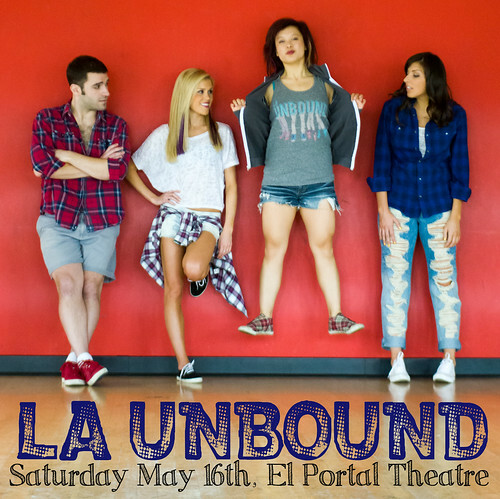 The show features over 140 dancers in LA Unbound’s signature mixture of dance styles, including contemporary, hip-hop, ballet, tap, burlesque, and more! Tickets are $20 in advance and $25 at the door and you can get them here now!